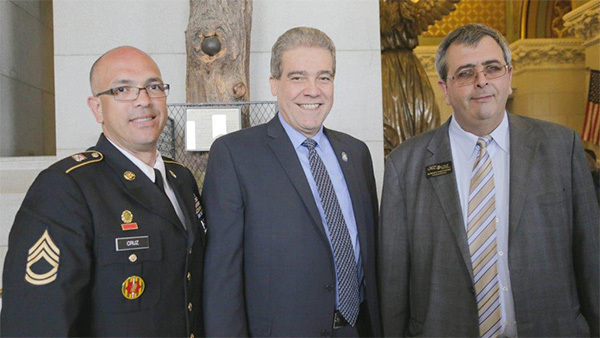 State Representative Edwin Vargas, center, joins SFC Juan Luis Cruz, left, and Roberto C. Fernandez, LPRAC Commissioner, right, at the 8th Annual Tribute To Hispanic Veterans held recently at the Hall of Flags in the State Capitol Building sponsored by the Latino and Puerto Rican affairs Commission. Rep. Vargas said it was a privilege to pay tribute to Hispanic veterans who have served in the military with honor and great distinction. 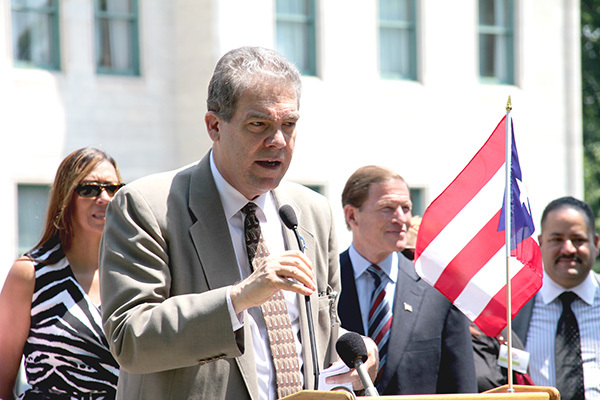 State Representative Edwin Vargas joining national, state and local officials at the recent Puerto Rican flag raising event held at the State Capitol. 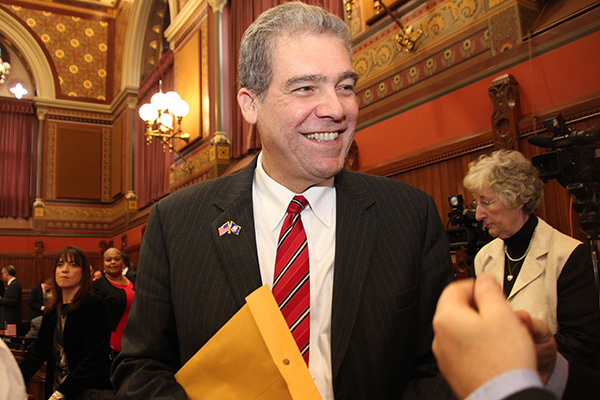 Representative Edwin Vargas was sworn in at the Capitol in Hartford yesterday as the 2013 legislative session began.